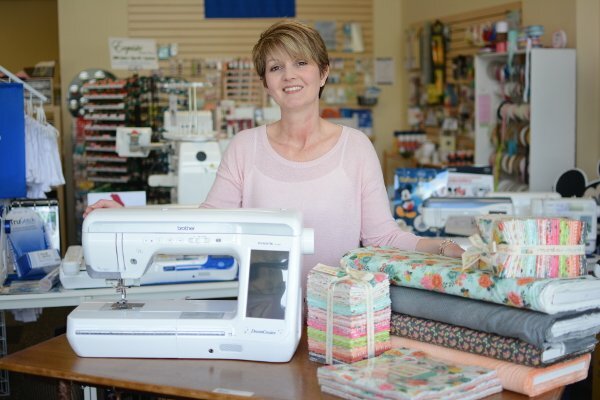 Zig Zag - A Fun Place to Sew! Zig Zag Sewing Studio opened for business in May of 2011 in Chelsea, Alabama. After five short years, we relocated to 2156 Pelham Parkway in Pelham, Alabama and our shop is conveniently located just off of Interstate 65. We are a Brother authorized sewing and embroidery machine dealership and an authorized service center. HandiQuilter has recently authorized us as their longarm quilter dealer in the Birmingham area. Machines are available for demonstration and, should you purchase one, we are well equipped to give you the necessary instruction to insure that you not only enjoy your new machine but maximize its fullest potential. Customers who are interested in making children's clothing or quilting, will find that we are delighted to help customers with the design process. We will always be available to help in choosing fabrics and trims as well as embroidery designs and monogramming. "Thank you so much for helping me get the machine I got on Monday! I've been saving up since July and was happy to finally get it!!!! Thanks again!! :)"
"Great fabrics, and excellent service on my machine!" "Great store, great people, great prices, great selection- what more could one ask for? ....more money to spend there, but that's about all I could think of!!!!"